A dialogue and group work to take a critical look at the establishment of relationships with First Nations and Indigenous people in the immigration sector. An opportunity for self-reflection for non-indigenous leaders aiming at creating organizational mindful processes in the unceded territories. In this lunch and learn webinar, cultural planner Kamala Todd shared her experience as a Metis-Cree living and working in the unceded territories of the Musqueam, Squamish and Tseil-Waututh Nations, and how to observe protocols in a territory different to that of her ancestors. Born and raised in these lands, she continually asks herself, in her work and in the ways she lives and raises her children, how she can address the colonialism of Vancouver and enact her own teachings of reciprocity and gratitude in finding ways to support the original owners of the lands. Kamala is currently the City of Vancouver’s Indigenous Arts and Culture planner, and she has worked with the City for many years in various capacities, including the Dialogues Project. Kamala discussed some of the current conversations and considerations about the work of “reconciliation” and decolonization, and she also addressed how those of us whose ancestors are elsewhere can work to repair the harms done to the ancestors of these lands and waters in this beautiful place we are so fortunate to live and work. This is the second part of a two-part webinar series on community based training for working with newcomers with trauma. The first webinar explored how practitioners in settlement can better understand trauma, and how it presents itself in community spaces. The webinar also provided some techniques that practitioners can use to address the issues of trauma, along with approaches to provide a more inclusive space for newcomers with trauma. This follow-up webinar addressed how we can further support our more vulnerable newcomers to Canada through learning with healing centered engagement. This learning event explored how those with migration journey experiences can move beyond merely coping with trauma, and explore their own resiliency and positive transformative changes that can occur beyond trauma, allowing positive emotional growth and a greater sense of well-being. Language is an essential part of our individual and community lives. 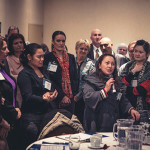 Newcomers to Canada learn English to contribute to their capacity to interact with other cultures and participate in the social and economic life in Canada. We as teachers, support many students as they begin to weave into the Canadian social fabric. We teach not only English but life skills, social cohesion, and community connections. We celebrate our students’ perseverance and resilience every day they show up in our classes to learn and engage with us in their new community. This webinar helped educators and other practitioners in the settlement sector to understand how trauma affects learning and how trauma can be a common barrier for students in the classroom. Participants in the webinar learned practical tools to address trauma, along with important guidelines for self-care. Heather Michaud of IRCC and Trina McKinlay of the BC PNP presented on Express Entry and the BC PNP, with a focus on how these two programs can serve as immigration pathways to permanent residence for temporary workers and international students graduating from Canadian educational institutions. Since 2017, British Columbia has seen an increase in refugee claimant arrivals. Supporting refugee claimants requires specialized expertise and front-line workers can benefit from the experience of those who have been working with claimants for many years. 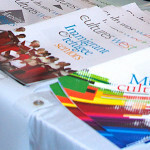 Career Paths for Skilled Immigrants is a new program that launched in early 2017 to replace the Skills Connect program. Come and learn from Ministry staff and Career Path’s service providers how this program can help the skilled immigrants you serve so that you can make an informed referral. Career Paths offers customized career counselling, training supports and occupation specific language training* for skilled immigrant job seekers for up to 22 months. This interactive webinar will present the results of the feedback that Open North collected from more than 250 newcomer settlement organizations. Open North was contracted by Immigration, Refugees and Citizenship Canada (IRCC) to reach out to newcomer settlement organizations in Canada to understand their digital capacity in order to better inform government support. Digital capacity is integral to organizations from all sectors. For the purpose of this project, digital capacity is defined as the ability to use digital tools within an organization to enhance service delivery, communication, and coordination. The digital capacity of an organization may be the function of skills and training (e.g. staff digital literacy), infrastructure (e.g. accessible internet, mobile hardware), applications (e.g. software, cloud computing) and processes (e.g.data analytics, data management, social media use). View the videos by clicking here. Immigration, Refugees and Citizenship Canada (IRCC) and the Province of BC have developed an expedited open work permit application process to protect vulnerable foreign workers and to regularize their status in Canada if they are at risk of abuse by an employer. Settlement agencies are authorized to assist clients through the process and to provide a written statement of support. An overview of the expedited work permit process and what a settlement agency should pay attention to when assisting a client through this process. An overview of employment standards and situations when a complaint can be made. The employment standards complaint process and what a settlement agency should be aware of when assisting a client making a complaint. An overview of human trafficking and the mandate of the Office to Combat Trafficking in Persons (OCTIP) and how settlement organizations can support affected clients. This webinar explored how social finance models can lead to improved outcomes for individual newcomers and settlement service provider organizations. The webinar introduced participants to research currently underway on how social finance could be used to assist Canadian newcomers and service provider organizations. The presentation featured prominent social finance models already being used, and those with strong potential to address challenges in the settlement sector. Download the Q&A transcript by clicking here. Pre-arrival services delivery practices in the Western Provinces.